Although many in the tristate area know it as a place to just drive through, the New Jersey Meadowlands is a critical micro-region just west of New York City. A quarter-million people commute on Amtrak and local rail through the area every day, and it’s the warehouse and distribution hub for the region—Amazon just purchased a 600,000-square-foot warehouse there, near the Teterboro Airport, to expedite its shipping operations. With 800 acres of preserved wetlands, the Meadowlands also sustains fisheries and migrating birds. That ecology co-exists with critical infrastructure: power and wastewater treatment plants, as well as petroleum production, but its soil and water holds contaminants that pose great risk to human health. 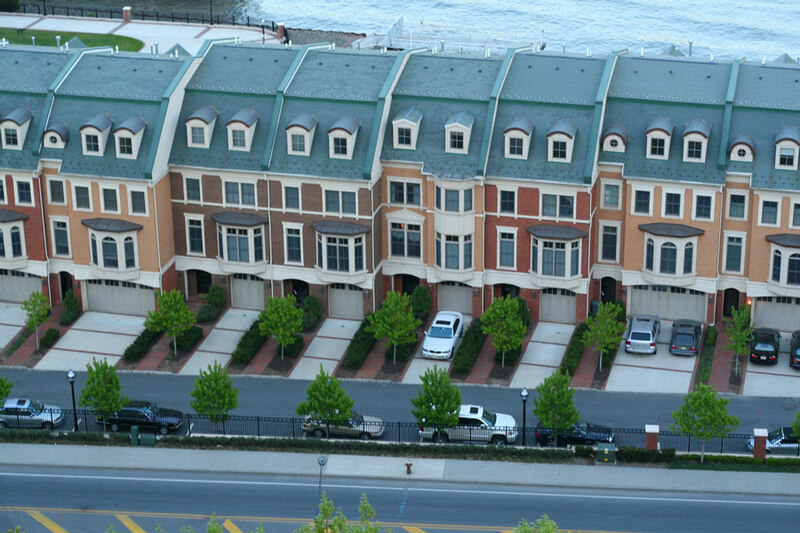 Together, the value of all property in the Meadowlands is assessed at $6.2 billion. The low-lying area is also particularly vulnerable to sea level rise. Last Friday at Assembly, the Regional Plan Association’s annual conference, stakeholders convened to discuss its future. “Facing Climate Change in the Meadowlands” brought together Robert Ceberio, president and founder of consulting firm RCM Ceberio; Stephen Dilts, office leader at New Jersey’s HNTB, an infrastructure planning firm; Debbie Mans, executive director of NY/NJ Baykeeper; and Catherine Seavitt Nordenson, principal of Catherine Seavitt Studio and assistant professor of landscape architecture at CUNY. The talk was moderated by Eugenie Birch, the Lawrence C. Nussdorf Chair of Urban Research and Education at the University of Pennsylvania. The panel raised big questions: Where do we retreat from, and where do we protect? How can fixed infrastructure be adapted? 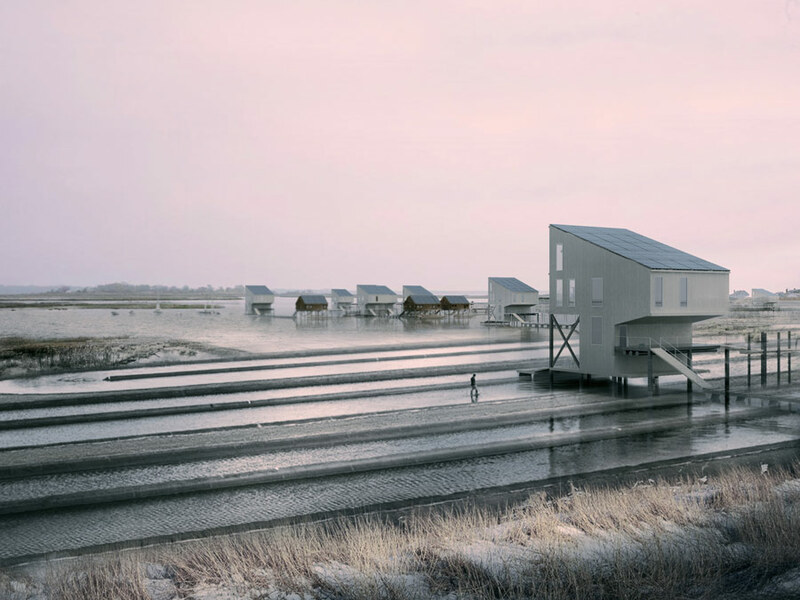 How will resiliency planning sustain natural ecosystems? And—with sea levels projected to rise three feet in the next 60 to 80 years—how soon can we start? From 1969 through the early 2000s, the Meadowland’s growth was guided by a master plan. 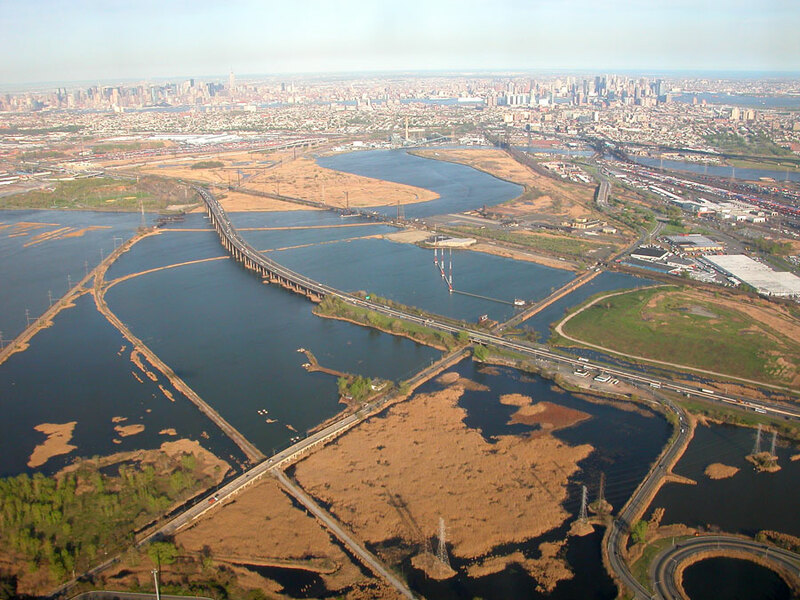 That plan called for the major development of the wetlands, backed by literal tons of infill (the debris from Penn Station and the London blitz lives there now, below some NJ Turnpike spur). After the plan expired in 2004, the residential population dropped to 30,000 from 70,000 while commercial space more than doubled to 6.5 million square feet of warehouses, stores, and offices. But the will to act is another question. “Are people in state and federal government are going to step up and do it?” he asked, sort of rhetorically, but other panelists were eager to jump in. The lack of a major plan—and a timeline—for sustaining a critical area was a running theme, foreshadowing words of warning from conference keynote Joe Biden. The former vice president told elected officials, planners, and AEC professionals in the audience to “stop being polite” and “sound the alarm” on the “shameful” state of the region’s infrastructure. “You need to start shouting about how bad things are,” he said. In New Jersey, at least, the stakeholders are vocal. Debbie Mans said that obstacles to resiliency planning abounded. Since the state legislature dissolved the Meadowlands Commission seven years ago, she said, there’s been a piecemeal approach to what should be a comprehensive regional strategy. She took issue with grand plans put forth by Rebuild By Design, HUD’s National Disaster Resilience Competition. 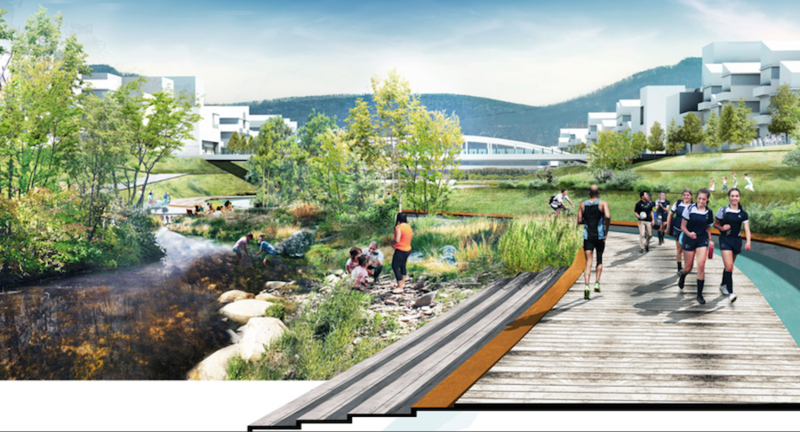 The plans called for hard and soft infrastructure, including a wall in the middle of the wetland. They're soft, Mans said, is levees and berms. 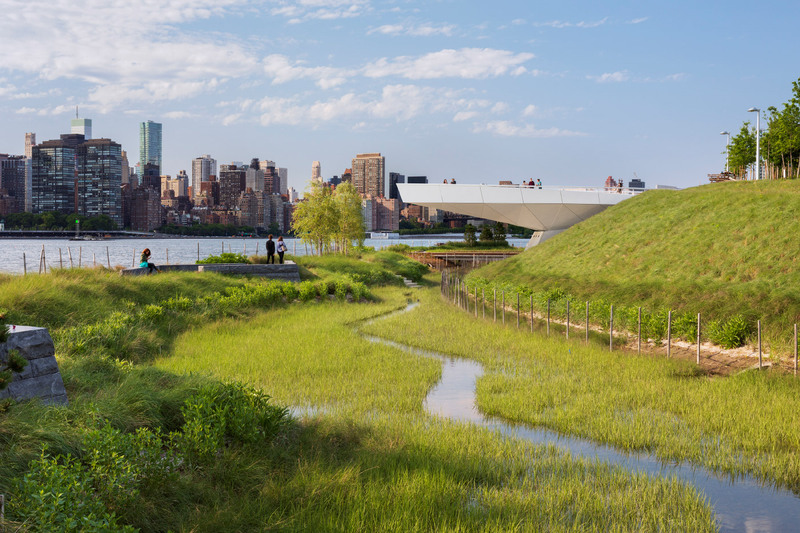 But with green infrastructure already intact, “bisecting and filling it intuitively doesn’t make sense.” The implementation, too, is scattershot; she questioned what the state and the region would receive for the millions being spent in the Meadowlands. 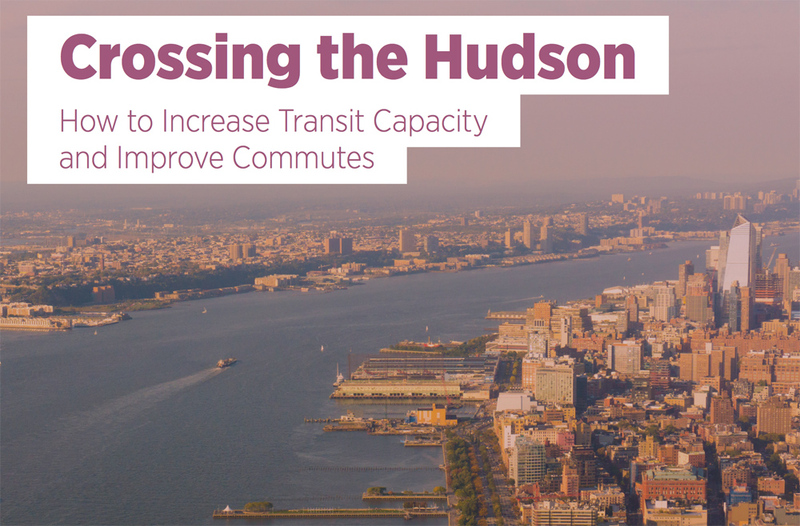 There were major project updates at the "Crossing the Hudson" panel, which sought to address the fundamental challenge of improving transportation across (and under) the Hudson to connect New York and New Jersey. Tom Wright, president of the RPA, kicked off the panel by showing how New Jersey added 65,000 new cross-Hudson commuters from 1990 to 2010 and stood to add another 75,000 from 2010 to 2040. (By another estimate, it would be 110,000 by 2040 if you include New Jersey commuters going to all five boroughs.) Forty-three percent of current commutes happen via bus and a new Port Authority Bus Terminal (PABT) is desperately needed. Additionally, if one track is lost on the current 106-year-old rail tunnel under the Hudson, Penn Station can only handle six trains during a peak hour (as compared to 24 otherwise). Put simply, "New Jersey transit systems are in a state of crises," said panel member and New Jersey State Senator Robert Gordon. While PATH is in decent shape funding-wise (thanks to PANYNJ tolls), the rest of the state's transit system is severely underfunded. 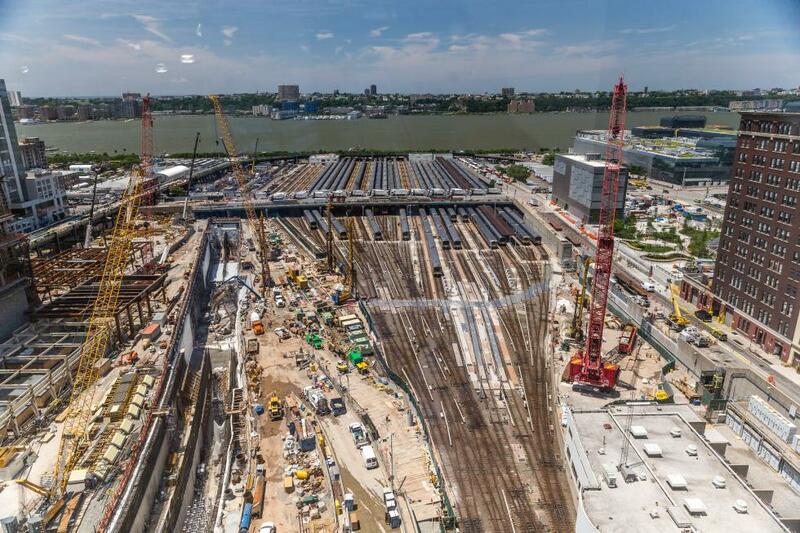 John Porcari, interim executive director of the Gateway Program Development Corporation, framed the challenge a little differently: 10 percent of the country's GDP is in the New York metro area, but crossing the Hudson via rail its "single point of failure." A new rail bridge, dubbed the Portal Bridge and located over the Hackensack River, is ready for construction but is awaiting federal funding. The new rail tunnel's environmental impact statement should be released in 60 days, Pocari added, and a financing plan is also in the works. Those two projects (the new bridge and tunnel) constitute phase one of the Gateway Program; phase two includes a new Penn Station. Biden called the tunnel "literally the single most important project in the country." However, Polly Trottenberg, commissioner of the New York City Department of Transportation (NYC DOT), countered that "global cities are not building big bus terminals"; rail is much more efficient. "One enormous bus terminal" is not the solution, she said, citing the failings of Robert Moses and how "we don't think that way now." Lastly, the panel touched on the replacement and expansion of Penn Station. Vishaan Chakrabarti, founder of Practice for Architecture Urbanism, who has put forward a plan to adapt the existing structure, explained his plan to move Madison Square Garden to the back of the old Farley Building, allowing the adaptive reuse of the current Garden's superstructure for a new train station that would make the neighborhood a "world-class address." 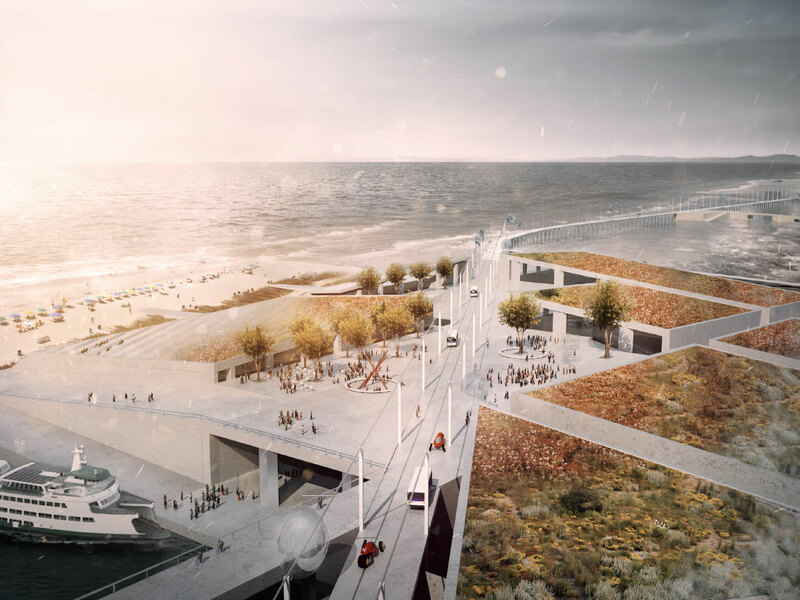 (ReThink Studio, who was also present at the Assembly, has critiqued aspects of this plan.) Chakrabarti also sounded the alarm that office space might be built in the back of the Farley Building to fund Amtrack's construction of a new Amtrack platforms on the rails that run under the Farley Building. Those platforms, he added, would only serve Amtrack and exclude regional rail. He also warned that the current Penn Station was a safety hazard awaiting disaster: with such low ceilings, for instance, a smoke event would be disastrous in the already-overcapacity space. In sum, the panel portrayed a moment of crises but also a potential reconsideration of the current status quo. Once the current crises have been averted, panelists agreed it would make the most sense for New Jersey to emphasize trains over buses for a trans-Hudson commute, as rail is overall far more efficient (albeit also more expensive) a system for moving people. After this, an afternoon panel, "Planning for the Transportation Revolution," sought to address how ride sharing and autonomous vehicle could reshape the urban landscape. Bruce Schaller, principal at Schaller Consulting (which specializes in urban transportation policy), and Matt Wing, corporate communications lead at Uber, both highlighted how Transportation Network Companies (TNCs, such as Uber and Lyft) have filled in gaps created by public transportation. Forty percent of Uber's New York City rides are in the outer boroughs and never touch Manhattan, which serves as little surprise given only one subway line (the G) doesn't pass through Manhattan. TNCs, Wing explained, are also serving as critical links in the "last mile" problem of getting people to mass transit stations. (See AN's transportation feature on Miami for more on this.) Jessica Robinson, director of city solutions at Ford Smart Mobility, revealed that Ford aimed to have a production-ready Level 4 self-driving car by 2021. (Level 4 means no steering wheel, gas pedal, or anything else drivers must operate.) Given their cost, said Robinson, such cars will almost certainly be owned and operated by ride-sharing companies. Seeking to stay at the forefront of mobility solutions, Ford also bought Chariot, a TNC that operates 14-passenger ride-sharing vehicles and aims to reinvent mass transit. It was Robin Chase, the co-founder and former CEO of Zipcar, who gave the most impassioned presentation. "Cities are in a one-time position of power," she said, to dictate the terms of how autonomous vehicles should operate before they're legally allowed in major cities. She's currently organizing a global coalition of mayor to negotiate with large companies. Her top priorities include: ensuring all vehicles are electric, creating a level playing field for competition among ride-sharing companies, and negotiating new forms of ride sharing taxation based on distance traveled, curb rights, fuel type, and other factors. Conventional taxation based on registration fees, gasoline tax, and tolls may not be an option when autonomous vehicles hit the road. Overall, the panel argued that anything less than all-electronic fleets of competing ride share companies would be a major loss for cities. In that scenario, there are fewer and much cleaner cars on the road, and vast amounts of parking and curbside space would be made available for public use. 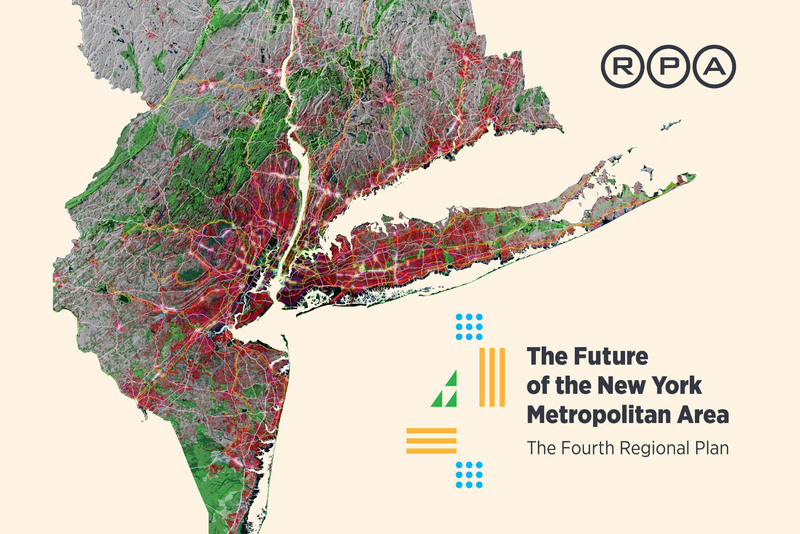 For more on major transportations plans, don't miss the upcoming Plan 2050 at the Cooper Union, this May 9! The Regional Plan Association has released a new study on housing affordability and its notoriously difficult-to-measure twin, displacement. Although displacement is often reported as individual battles over affordable housing or new development in neighborhoods like East New York and East Harlem, Pushed Out: Housing Displacement in an Unaffordable Region (PDF) illustrates the widespread impact of displacement in the tristate area, from Northern New Jersey up to New Haven, Connecticut. Despite good intentions, urban planning often reflects the priorities of four decades ago, when cities confronted deficits, white flight, deindustrialization, and the collateral damage of urban renewal. 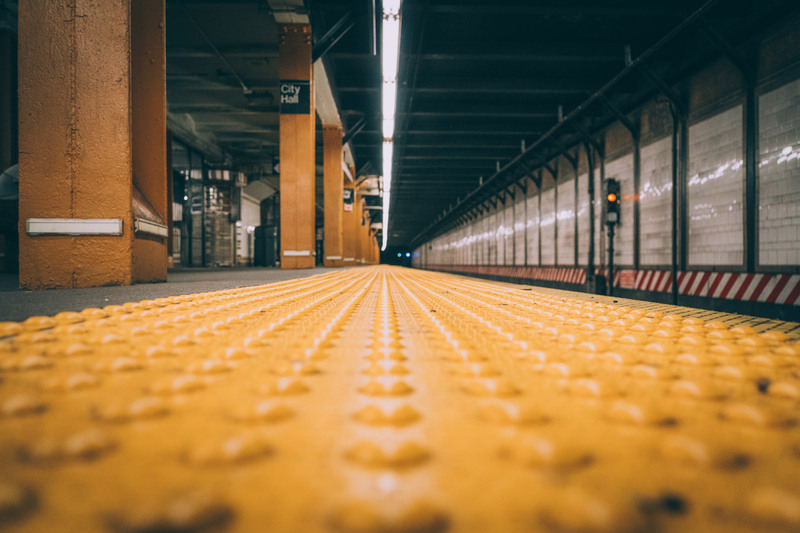 Now, data shows that throughout New York metropolitan area, wealthier (and whiter) people are replacing people of color in dense, central city neighborhoods with good transit access. There are, the RPA estimates, 990,000 people in the region who are at-risk of displacement; more than two-thirds of this group are Black or Latino. To ease the rising cost of housing and keep low-income residents in place, Pushed Out proposes policies like deeper rental subsidies, broader affordability ranges, centering displacement risk into land-use, and more legal protections for tenants, especially around eviction prevention and in areas outside of New York City where rent protections are weak or non-existent. This most recent report, which includes interviews with those affected directly by displacement, will be part of the RPA's fourth regional plan, due out later this year. In conjunction with the release, RPA held a morning forum at the Ford Foundation where two panels of community leaders and city officials from the region gathered with an audience of their peers and neighbors to discuss strategies for resisting displacement and advocating for longtime residents in the face of change. Maria Torres-Springer, the new head of NYC Housing Preservation and Development (HPD), joined Dina Levy, deputy director of community impact and innovation in Attorney General Eric Schneiderman's office; and Jersey City Deputy Mayor Marcos Vigil for a panel discussion on what municipalities can do to combat displacement (NY1's Errol Louis moderated). HPD, Torres-Springer noted, is beginning to experiment with community land trusts, while Vigil said Jersey City, in response to an influx of 50,000 new residents, offers incentives to developers who build housing outside of transit-rich, wealthy neighborhoods. The solutions are meant in part to address an acute displacement trend: RPA's report found that desirable, central city neighborhoods have seen a two percent decrease in households earning less than $100,000 annually, while these same areas have accommodated 11 percent more households earning $100,000 annually. The group mused on the difficulty of providing truly affordable housing when, for example, federal agencies set standards of affordability that may not align with local needs. "There's a legal definition of affordability," said Vigil, "but really it means a good, safe place to live." Panelists were on the lookout for instances in which public policy accelerates displacement, but given their institutional roles and the short timeframe, discussion trended towards optimism and broad tactics. Barika Williams, deputy director of the Association for Neighborhood and Housing Development, moderated a second panel on how displacement risk is experienced on the ground. Executive Director of Community Voices Heard Afua Atta-Mensah; NYU Furman Center Director Ingrid Gould Ellen; Raymond Ocasio, executive director of La Casa de Don Pedro; and New York City Council Member Antonio Reynoso spoke about how the rising cost of housing is putting pressure on the (mostly) low-income communities of color they advocate for and represent. Reynoso, whose district includes parts of Williamsburg, Bushwick, and Ridgewood, spoke passionately about housing pressures facing his constituents: "Law, policy, and safeguards are being outpaced by development," he said. "Do we have the resources and will to sustain the preservation of affordable housing and build more housing to combat the erosion?" As poorer residents are pushed to the city limits and the suburbs, panelists agreed that planning needs to extend beyond town lines. "It's better,"Atta-Mensah said, "to get in at the front end and talk about this regionally."